This article originally appeared on Global Voices Advocacy’s Netizen Report, which offers an international snapshot of challenges, victories and emerging trends in Internet rights around the world. And in the western hemisphere, a Venezuelan man affiliated with the Justice First political party was detained after “threatening” President Nicolas Maduro on Twitter. Public servants in particular seem to be punished for social media posts deemed offensive by the authorities. At least three other citizens are currently in prison for messages they posted on Twitter in 2014. Photo by Sean MacEntee on Flickr and reused here with Creative Commons license. Following a massive outcry that has spread from the Gulf region to Russia and even as far as Chile, the Saudi Arabian government reduced Palestinian artist Ashraf Fayadh’s sentence from the death penalty to eight years imprisonment and 800 lashes. Fayadh was charged with blasphemy and promoting atheism in his 2008 poetry collection Instructions Within. The U.S. and EU reached a temporary deal on the transfer of data between the two regions, overcoming a stalemate over how Internet companies like Google move data between the EU and U.S. Negotiations between were fraught and officials failed to reach an agreement by Sunday’s deadline. The U.S. has guaranteed that its intelligence agencies will not be given indiscriminate access to data moving from the EU to the United States, but it appears that commercial considerations may also be slowing down the process. The rules governing data transfer were established under a Safe Harbor Framework, which was struck down last spring by European judges who ruled that the protections for Europeans’ data when transferred to the U.S. were insufficient. In response, officials from both regions sought to negotiate a new set of rules to accommodate European concerns over surveillance by U.S. intelligence agencies. But these negotiations appear to have broken down over issues such as how Europeans could seek legal remedy in American courts, and multiple national privacy agencies that have threatened to take “aggressive legal action” without sufficient regulations in place. As it must be approved by each EU member state, the deal has a long way to go. 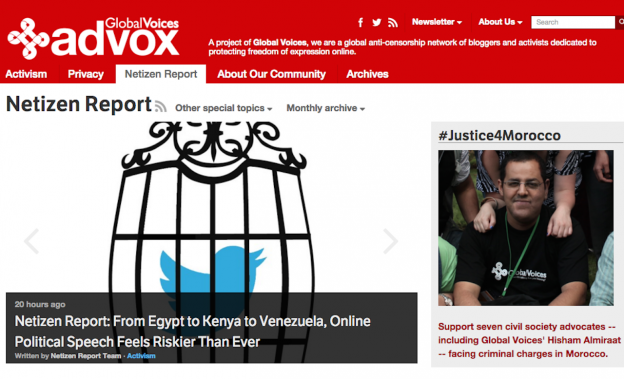 The Netizen Report is produced by Global Voices Advocacy. Mahsa Alimardani, Ellery Roberts Biddle, Marianne Diaz, Hae in Lim and Sarah Myers West contributed to this report.